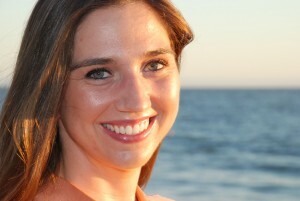 Dr. Andrea Henderson obtained her dental degree from the University of Western Ontario, Canada. After that, Dr. Henderson completed post-doctoral residencies in 3 specialties at the UCLA School of Dentistry: Hospital Dentistry, Advanced Prosthodontics, and Maxillofacial Prosthodontics. Dr. Henderson is highly specialized in dental aesthetics, reconstructive and implant dentistry. She is also specialized in the treatment of medically compromised patients, such as Head and Neck cancer patients who have, or are undergoing surgical resection, radiation and chemotherapy. Dr. Henderson is currently enjoying private practice while remaining a part time Adjunct Professor in the Removable Prosthodontics Department at UCLA. She is a Diplomate of the American Board of Prosthodontics and a Fellow of the American College of Prosthodontics, prestigious achievements attained only by a small percentage of Prosthodontists. She is the Co-Founder and Co-Chair of the Young Clinicians Committee, Academy of Osseointegration and an active member of the American Dental Association (ADA), California Dental Association (CDA) and Western Los Angeles Dental Society. Dr. Henderson also finds time to give back to the community. She is an active volunteer of the Thousand Smiles Foundation, a non-profit organization that organizes quarterly trips to Ensenada, Mexico to provide treatment to children suffering from cleft lip and palate. If you have any questions or concerns, please contact Dr. Henderson today.